Here is my final look for Digital Dozen week, and today's inspiration is from Tracy over at Olivia Jade Nails. Tracey is a pretty amazing stamper. 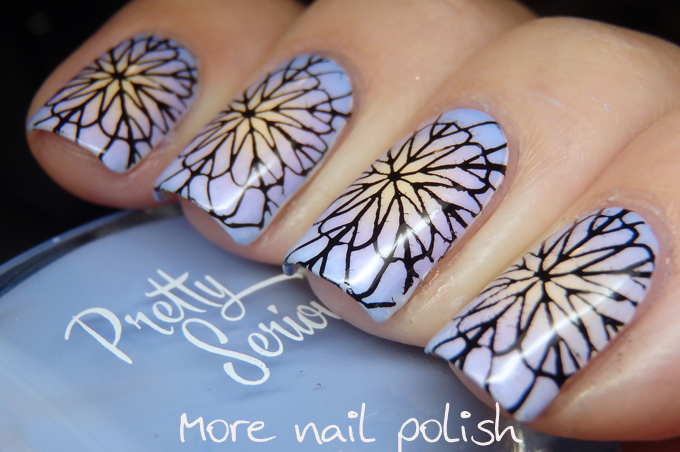 I'm so envious of the stamping plate collection. When I think about Tracy's signature style, I think of some sort of sponged base and perfect stamping on top. So that's what I went for here. It's loosely based off a design she created with some Pretty Serious cremes and I chose different cremes to hers, but I still did the radial gradient with a circular type stamp on top. I love radial gradient, yet never make them! This is so stunning and looks beautiful paired with the stamp.